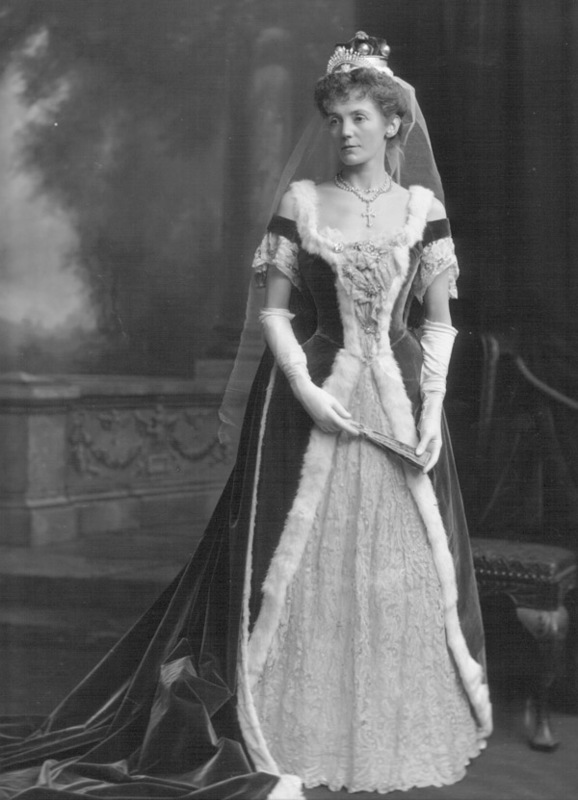 Mary Helena, Lady Saltoun (d. 1940). Sitter: Mary Helena, Lady Saltoun (d. 1940). Biog: Daughter of Thomas Arthur Grattan Bellew M.P. ; m. (1885) 18th Lord Saltoun of Abernethy. Furniture & Props: Painted backdrop; Chippendale Revival chair.